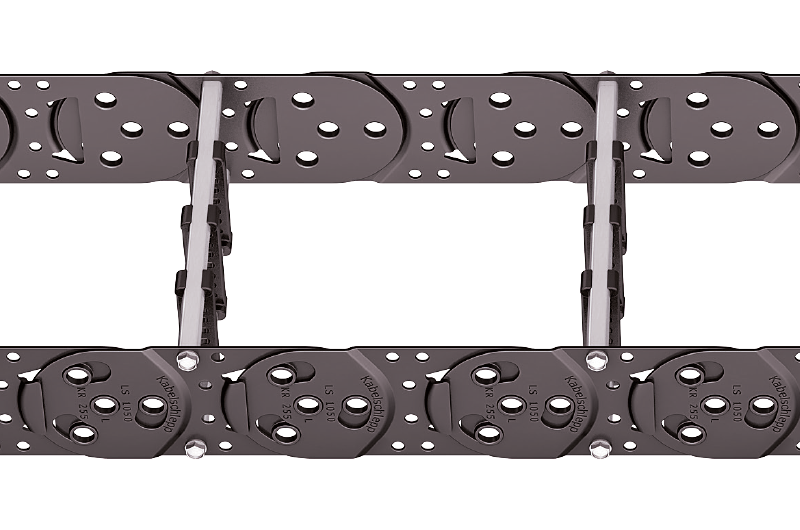 The weight-optimized link plate design makes the cable carriers very light yet highly sturdy. For the LS series, the unsupported length is significantly higher compared to plastic cable carriers of a similar size. The hardened surface significantly increases the service life of the LS1050. Tests were carried out on cable carriers with identical designs. The LS1050 is therefore ideal for applications with many travel cycles, for example in 3-shift operation.